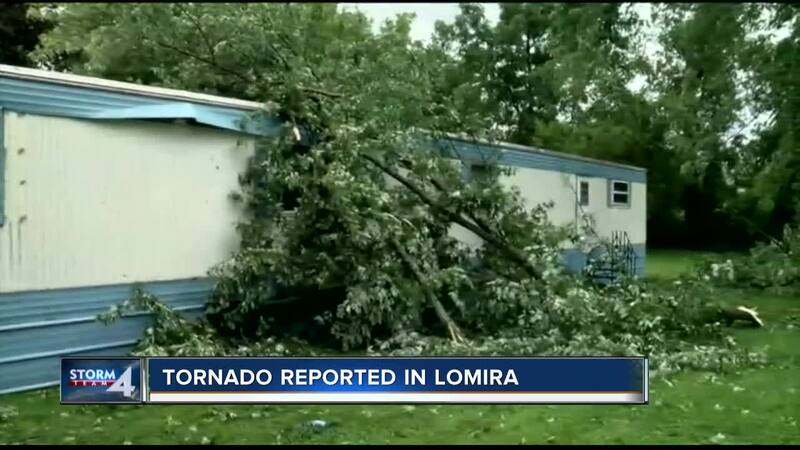 LOMIRA, Wis. -- Widespread damage remains for parts of Dodge County after severe weather ripped through the area Tuesday afternoon. 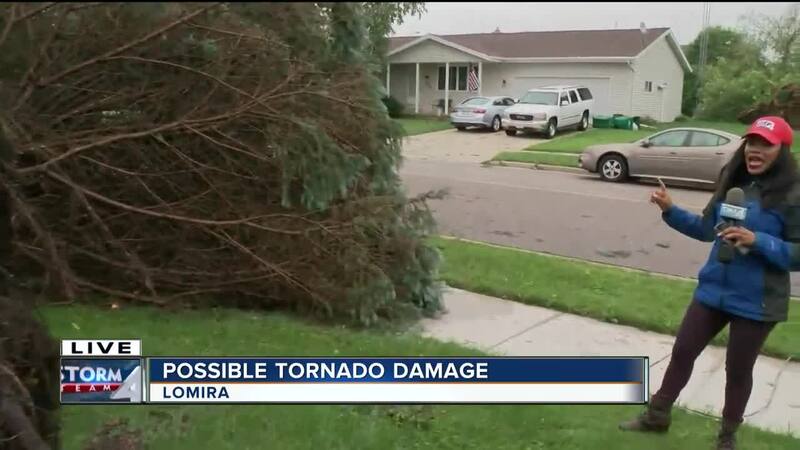 Dozens of homeowners in Lomira will likely be spending the next couple of weeks on clean-up duty after a possible tornado or straight-line winds tore through town. Trees were uprooted by the dozens, utility poles were snapped and power lines fell to the streets near 3rd and Main. “The clouds got dark, I hear boom, boom, boom, we hit the floor, me and the dog,” said Martha Jean King. King was in her mobile home when trees came tumbling down on top of her roof. “I thought the end of my life was coming right then and there,” she said. Others across the street had it even worse, requiring immediate removal. Fire crews brought chainsaws to break up the large branches. “Oh my god, all I could think of was Mother Nature, she can do some really frightening things,” said Susan Ehrlich of Lomira. Just north near Brownsville, a barn at Highway 175 and state road 49 was demolished down to its base. “It kind of sounded like a freight train, your natural tornado sound,” Jesse Nytes said. Nytes and Joel Schukow live on the property where the barn fell. Both took cover in the basement of their home. Structural property damage wasn’t top of mind for many farmers in the community who are worried their crops might be ruined. Brian Kazmierczak’s corn stalks now stand sideways after the storm. “I’ve probably got a few thousand acres that could be affected by this and definitely looks severe in some places,” he said. Power has been out in the area since the storm began. The Dodge County Sheriff’s Office said Brownsville should have power restored sometime Wednesday morning.